Sometimes all you have to go on is a distant shape. 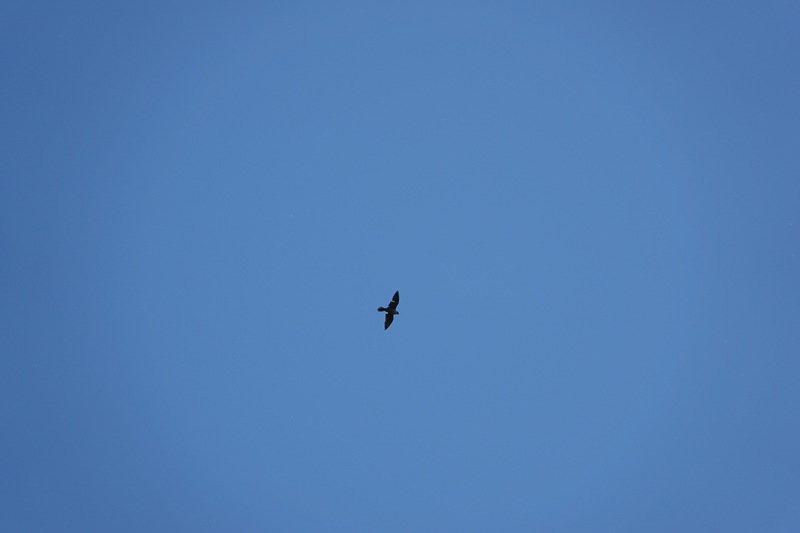 So today, we have three main types of raptors soaring in the sky for you. These three species were all seen the same day, by the way. 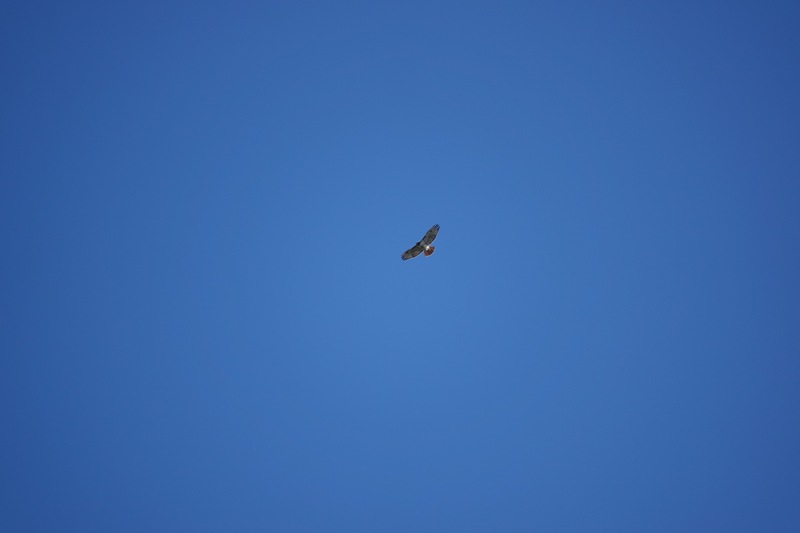 First a Buteo, with long, broad wings, and a relatively short tail. 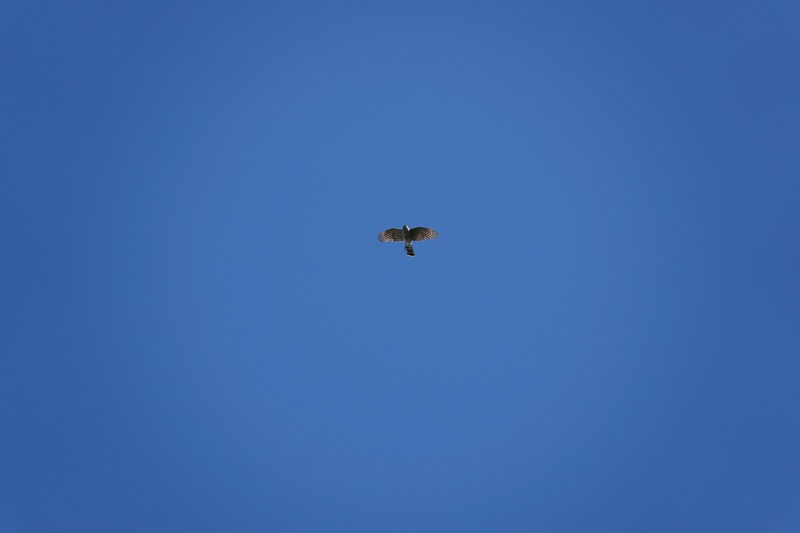 The light suddenly reveals the red tail and gives away the identity here. 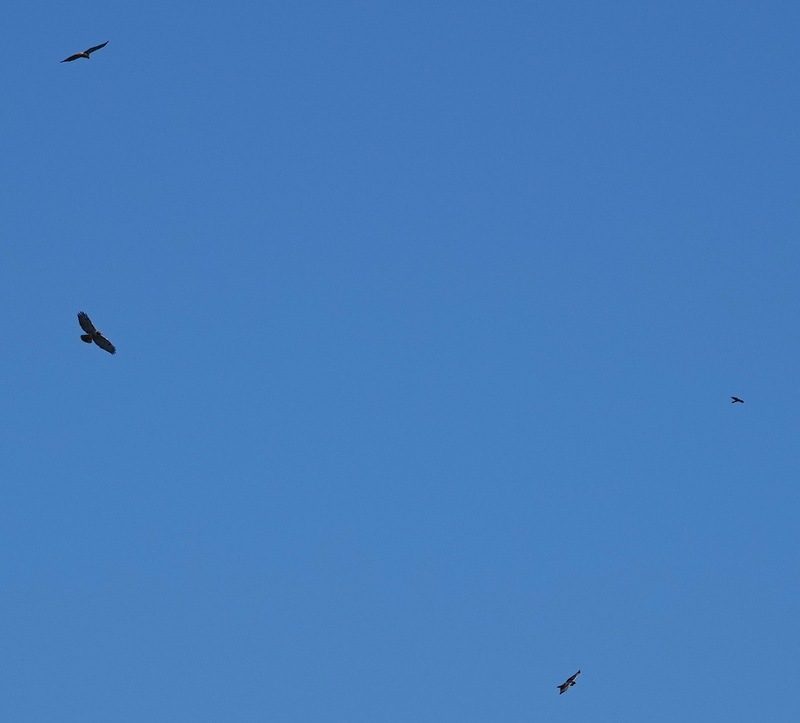 (However, Red-tailed Hawks don’t have red tail feathers until their first birthday.) 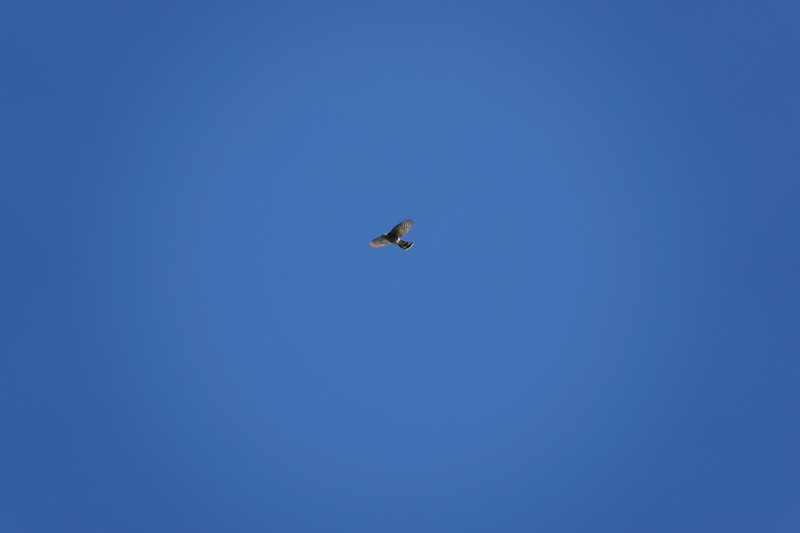 Wings are still broad, but shorter proportionally than the Buteo. The tail here is longer, too. Accipiter. The large head suggests a Cooper’s Hawk rather than a Sharp-shinned Hawk. Now note here the sharp tips to the relatively narrow wings. 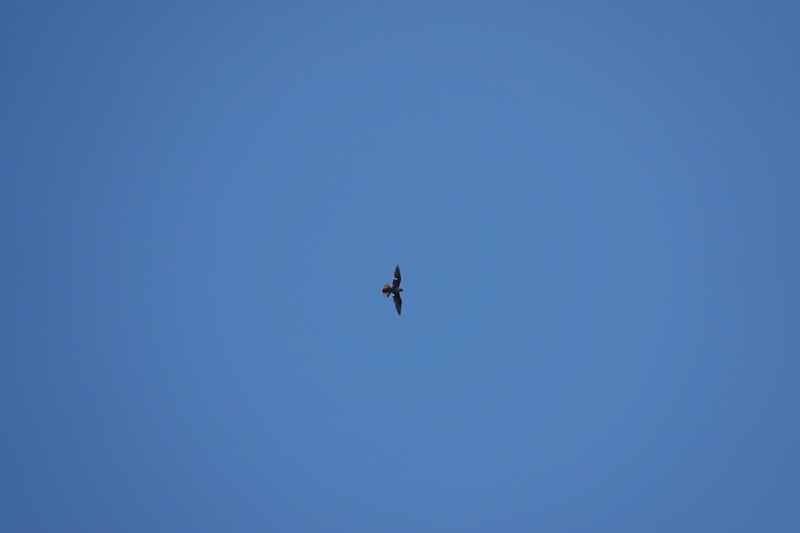 Falco: this Peregrine is missing some feathers in both wings, a sign of molt. This final picture was taken the next day, also in Green-Wood. 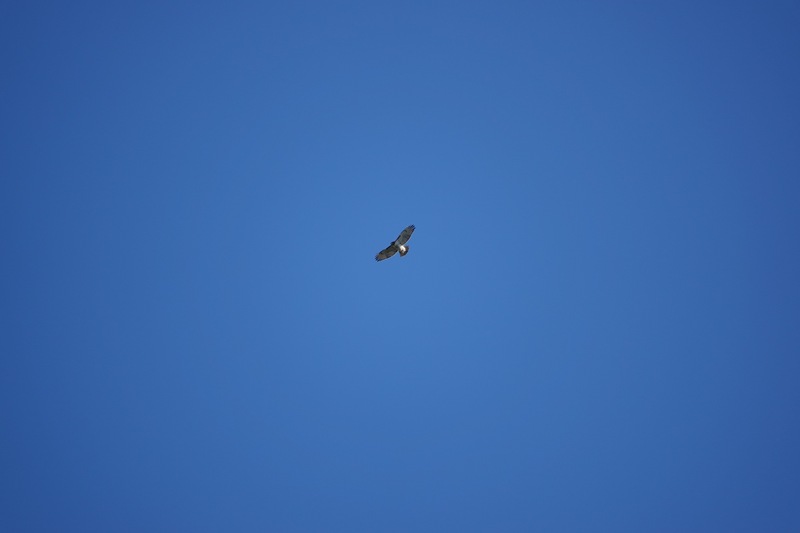 There are three soaring Red-tails here with an Accipiter passing through.